Write the first draft of your final essay – your “book and movie” presentation –> essay. Print it out and bring to class on January 11th. Movie. Some basic information (title, release date, period of history, director (if famous), actors (if famous). A brief summary of the story (in 2~3 sentences. You may use Wikipedia or Goodreads or Amazon to help you but do not copy and paste – use your own words. Discuss the history in the movie; e.g. the movie “Forrest Gump” mentions Elvis Presley, President Kennedy, Vietnam War, Nixon and Watergate, etc. Explain these people and events. Say what you learned particularly about US history from watching this movie. Be specific. Say what you learned particularly about US history from reading this book. Conclusion. (Repeat the introduction.) Add a short summary of what you learned, and whether you enjoyed the book or movie. Explanation of APA style with examples for a book, movie and Internet article. See the resource page for details and more resources. I want to have a copy of your recent Powerpoint presentation. 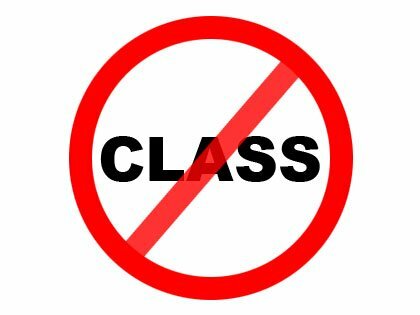 Will those students who did not attend Saturday’s class please bring their USB with their “book and movie” presentation to class next Friday (Dec. 21st), please? Thank you. Redo your book and movie presentation. Makeup class will be on Saturday Dec. 15th (not Dec. 8th as I announced in class.) For presentation guidelines, see last week’s blog post here. Everyone must do their book and movie presentation twice. If you did your book-and-movie presentation Nov 30th or earlier, please do it again on Dec. 14th or 15th (Saturday, makeup class). CLASS CANCELLED. Next class Friday December 14th. Write 3 paragraphs comparing Michael Jackson’s “Smooth Criminal” and Fred Astaire’s “Girl Hunt Ballet” music videos. Use your own English. Don’t copy and paste. Paragraph 1 – introduce Michael Jackson. Paragraph 3- compare the two music videos, focusing on the similar points. Start preparing your book and movie presentation. All presentations must be done by the next class, Nov. 30th. There is no class on Nov. 23rd, so Nov. 30th is the last chance. For presentation guidelines, see last week’s blog post here. Wall Street (Also a 1987 movie, famous for the line “Greed is good” said by Gordon Gecko. The murder of John Lennon outside the Dakota Apartment House.